"A tradition in Karate excellence"
Book your FREE first lesson! Register below to book your FREE lesson! Fill in the form to secure your place at your chosen club location - places for 2019 are now open. Once booked in just come along and arrive 10 mins before the start time. Loose clothing is ideal (jogging bottoms & T-shirt) and bring a drink. You will be greeted by the club instructor who will run through a pre training questionnaire with you as well as answer any questions you have. Your lesson starts with a warm up and stretch. Then you will try out some basic Karate techniques (punches, blocks and stances) and then finish with some strengthening exercises and a cool down. We look forward to welcoming you to your KSTSK club! Increased self-control, confidence, concentration and focus. Excellent exercise for strength, fitness and flexibility. Avoidance of conflict through awareness. Our social events foster great friendships. A progressive, participative pastime the whole family can enjoy together. A good foundation for self-protection principles. Both team and individual based training. Karate training can help in the other sporting activities like: football, rugby, tennis, athletics etc... All ages of both sexes can mix and train. A great release from everyday stresses and strains. KSTSK grading syllabus available on DVD! The Kamaete Schools of Traditional Shotokan Karate (KSTSK) is headed by chief instructors Rakesh Patel 6th Dan and Peter Khera 6th Dan. Rakesh and Peter started their Karate journey as young children in the mid 1980's. They trained at their local club in Letchworth and regularly visited other clubs in the association. They graded to black belt in their teens. Peter established his first club in Hertford (1994) and Rakesh in Hatfield (1996). Through their hard work, passion and diligence, together Rakesh and Peter founded KSTSK in 2005. KSTSK has grown organically and now comprises a great team of fully qualified instructors and black belts across fifteen clubs providing the highest standard of Karate tuition for all students; children, teens and adults alike. 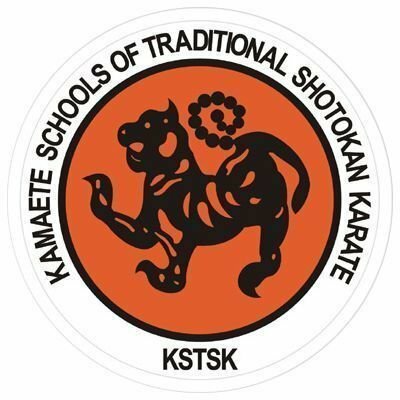 KSTSK - a tradition in Karate excellence. The first event of 2019 was the winter dan grade training course. Saturday 9th February at Ridgeway Academy (Sir Frederic Osborn School), Herns Lane, Welwyn Garden City. AL7 2AF. From 9am to 11am. The first regional grading examination in 2019 took place on Saturday 30th March at Herts Sports Village, Hatfield. From 1pm to 5pm. The spring open course takes place on Sunday 28th April at Herts Sports Village, De Havilland Campus, Hatfield Business Park, Hatfield. AL10 9EU. The fourteenth annual tournament is on Saturday 18th May at Wodson Park Sport Centre, Wadesmill Road, Ware. SG12 0UQ. From 10am. The June regional grading examination is on Saturday 29th June at Herts Sports Village, Hatfield. From 1pm to 5pm. Summer dan grade training course on Saturday 6th July at Ridgeway Academy (Sir Frederic Osborn School), Herns Lane, Welwyn Garden City. AL7 2AF. From 9am to 11am. The September regional grading examination is on Saturday 21st Sep at Herts Sports Village, Hatfield. From 1pm to 4pm. The autumn open course takes place on a Sunday in November (TBC) at Herts Sports Village, Hatfield. The 2019 end of year party will be on a Sat in Nov - date and venue to be confirmed. The Dec regional grading examination is on Saturday 7th Dec at Herts Sports Village, Hatfield. From 1pm to 5pm. Extended DVD footage exclusively for the KSTSK website! A collection of video clips compiled from footage professionally filmed during the original syllabus DVD shoot. This compilation is not included on the DVD set.